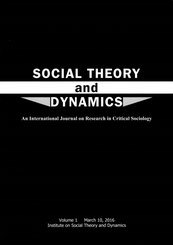 The Institute on Social Theory and Dynamics has published a new research journal. It is a new research journal which is the first English bulletin on critical sociology to be published in Japan. STAD is an international journal of critical sociology and/or social science, which publishes articles that analyze the contemporary social problems from the critical and radical perspectives. the surrounding region, as well as globally. STAD is an international peer-reviewed journal to which any applicant can submit and publish original research contributions to scientific knowledge and critical reason.